Right off, it amazes me that this exists. 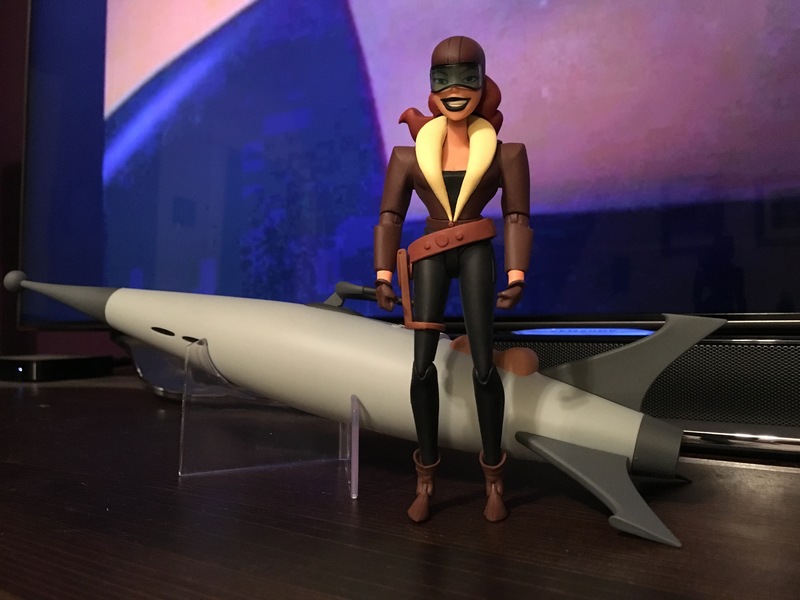 Seriously, if you say you believed that a company would ever produce a Roxy Rocket action figure — with rocket, no less — I’m here to call you a liar. And yet here we are. Or, more precisely, here she is — a $40 deluxe figure from DC Collectibles. Roxy Rocket sprang from the fertile minds of Paul Dini and Bruce Timm, who also gave us Harley Quinn. Harley, of course, went from cult fave to the A-List. Roxy hasn’t had quite the same rise, although she really is an excellent idea for a villain. She feels like she’s right out of, oh, 1953 — that period just before the alien-soaked early Silver Age. 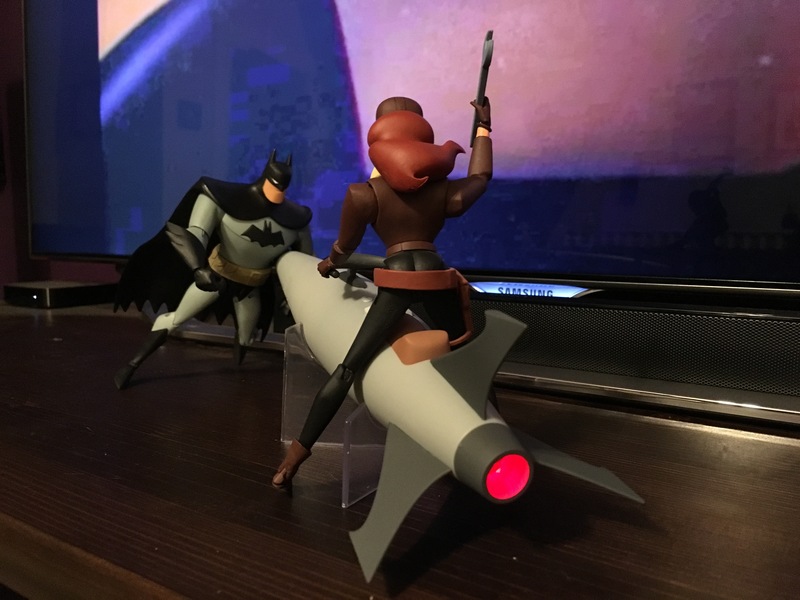 DC is producing one of the top toy lines of the year, with these 6-inch Animated Series/New Batman Adventures figures. 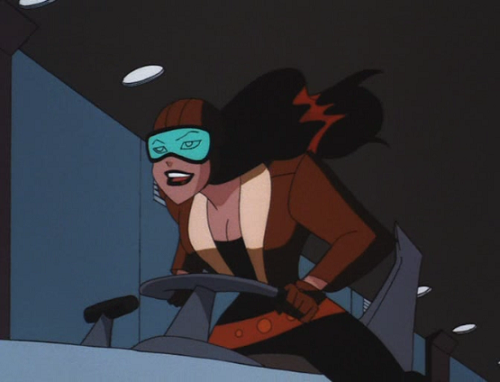 They’ve cherry-picked the best looks for all the characters — though I do prefer TNBA Catwoman to the original design. I’m here to talk about Roxy, though, and she’s a fine addition. 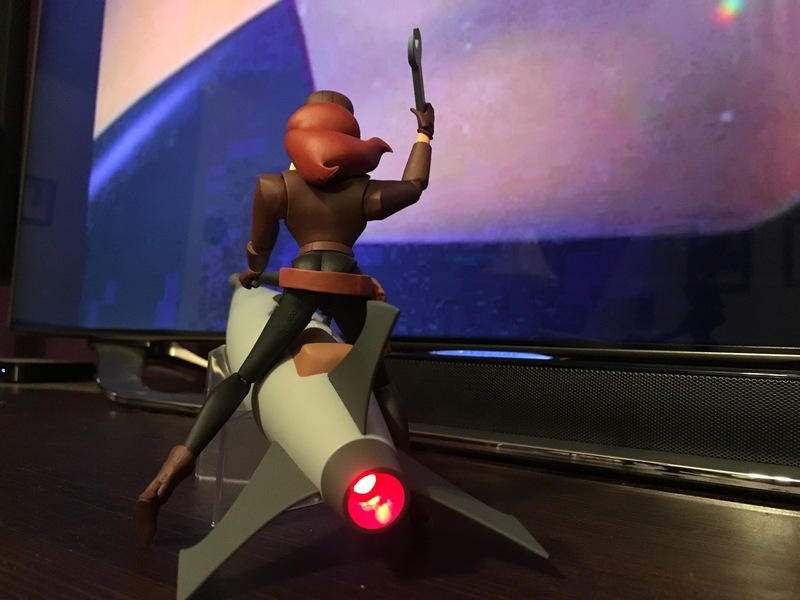 She’s screen-accurate, with smooth articulation and that great, angular Bruce Timm style. She comes with the requisite change of hands and accessories, including pistol and wrench. If I have a quibble, it’s that she doesn’t really sit in the saddle all that well. 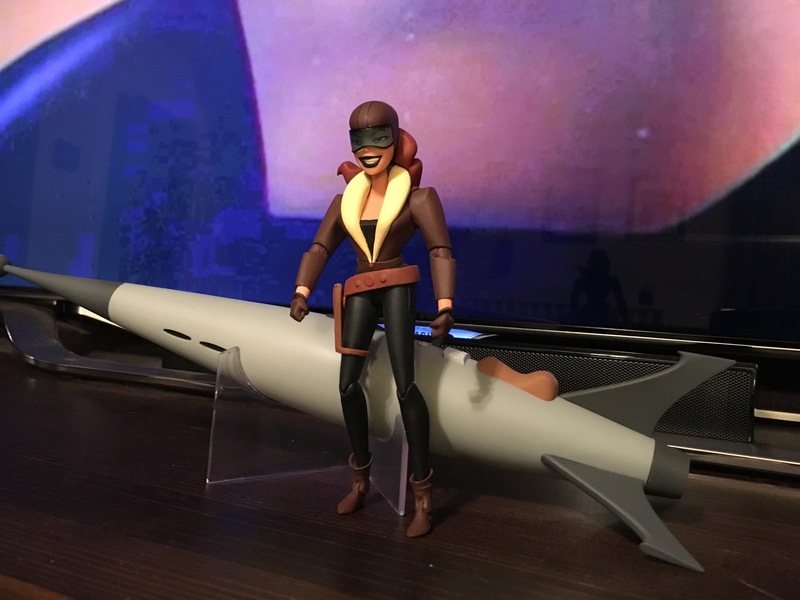 But then again, that gives the look that she’s riding high, so it’s kind of a wash.
Roxy has already popped up here and there, but is scheduled to go wide in comics shops 11/11. 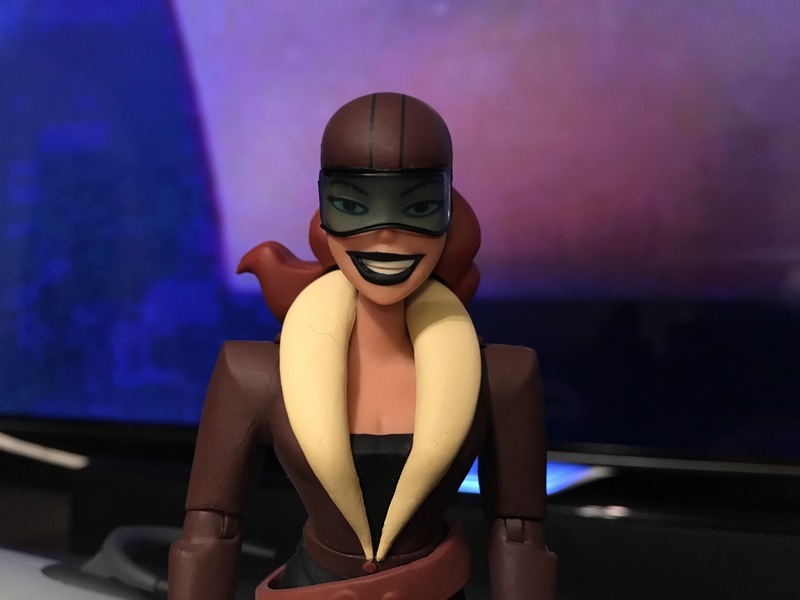 She may not be the first figure collectors grab for but she’s a completist’s dream.